FARMINGTON - On Saturday, June 18, the Arts Institute of Western Maine is sponsoring a Maine Mountain Chamber Music concert featuring flutist Lisa Hennessy and Maine Mountain Chamber Music co-directors Laurie Kennedy on viola and Yuri Funahashi on the piano. Commissioned by the Juilliard School, Bloch’s Concertino for Flute, Viola and Piano (1950) was premiered there in 1950. Its three movements have great contrast. In the first movement, a mournful Jewish-style melody is sung by the viola, passed to the flute, and developed in unexpected ways before returning. For the second section, Bloch uses the Passacaglia form that Bach so often used. By the end of the last movement, “Fugue humoresque”, everyone (except the pianist who has to play the part of a whole orchestra) is laughing at this serious music, and the work dissolves in a raucous polka. 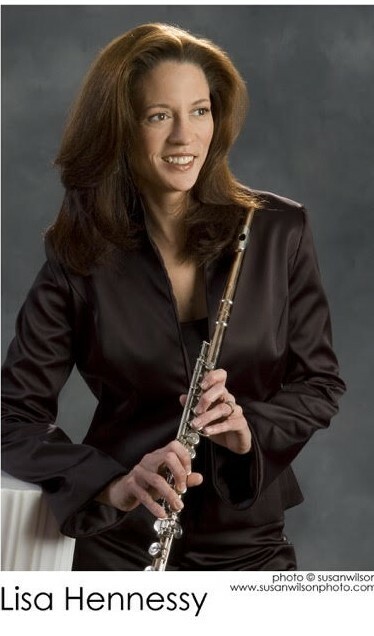 The performers are: Lisa Hennessy, principal flutist with the Boston Landmarks Orchestra, Portland Symphony and Boston Ballet Orchestra. She has a Master’s in Music from the New England Conservatory, and a Bachelor of Arts in Music from the University of Houston. She has been a featured soloist on WGBH radio’s Boston Performances and with Boston Landmarks Orchestra and Portland Symphony. Principal Violist and frequent soloist with the Portland Symphony Orchestra since 1981, Laurie Kennedy has performed at this Festival since 1977, and served as Music Director from 2000 to 2015. Before moving to Maine, she was Principal Viola of the Vancouver Symphony and the Buffalo Philharmonic. She received a master’s degree and Performer’s Certificate from Indiana University School of Music. Yuri Funahashi has been a guest at numerous chamber music festivals, and has performed in Japan, Australia, Canada, and throughout Europe. She is a performing member of the Festival Chamber Music Society in New York City, has collaborated with the Verdehr Trio, the Brentano and Cassatt String Quartets, and has recorded for Musical Heritage Society and John Marks Records. She received her Doctor of Musical Arts degree from the Juilliard School. Thank you for this description. We are truly fortunate to have these wonderful professional musicians perform for us. Maine Mountain Chamber Music has always been one of the most gratifying events in Farmington.